TOP PSYCHIC On TV/Radio Love/Work/Money 30+ Yrs. Look no further. Keen TOP ADVISER syndicated on 600+ radio/TV shows. ACCURATE/HONEST COMPASSIONATE/QUICK. Author of Beyond the Secret (on LOA) and 5 more books. Ph.D. psychic/psychologist. 1 FREE min per 3 mins we talk. Not your average psychic! I am one of KEEN'S TOP ADVISERS for a reason. My skills have been tested in research programs to scientifically ascertain accuracy. I am also VERY FAST, ACCURATE, and full of COMPASSION. I tune in very rapidly combing my intuitive skills (clairvoyance, clairsentience, clairaudience, claircognizance) with my extensive training in spiritual guidance and relationships to help you see what is going on with you and those around you. And, I help you change your life for the better. Why? Because I want your future to be better than ever. That is why I go above and beyond for my clients as well. See how below. INTUITIVE SKILLS: I first started using my psychic gifts at age twelve. I see (clairvoyance), hear (clairaudience), and feel things in my body (clairsentience) by tuning into you mind to mind and heart to heart to get the clearest insights. With decades of experience now, and because I am highly sensitive, I am VERY FAST in my readings. For these reasons, I have become one of Keen's Top Advisers. RELATIONSHIP & SPIRITUAL GUIDANCE SKILLS: I am highly trained in understanding human relationships and spiritual growth and phenomena. I have numerous degrees including: Master's degrees in Marriage, Family, Child Counseling; Master's degree in Transpersonal Psychology; Master's degree in Spiritual Psychology. I also have a Ph.DE in Esoteric Philosophy (the deeper teachings under-lying the world's faith traditions) and completed except for my dissertation a Ph.D. in Transpersonal Psychology. SPIRITUAL BACKGROUND: I was raised Christian, but I have studied in depth all the world's major faith traditions. For this reason I consider myself Interfaith and consider LOVE to be my main religion. To let you know I believe in prayer and teach meditation. Those prayers and meditations are often extended to my clients free of charge. BOOKS and MEDIA: Learn about my books and media exposure below the ratings and photos on this listing. INTUITIVE, FAST, COMPASSIONATE, NO TOOLS: I am a compassionate person who sincerely wants you to improve your ability to have love, happiness, and success. My readings are fast and direct so I don't waste your valuable time and money. I do not need to use any tools. I simply tune in quickly to your soul energy, while tapping into my own soul energy to enhance my intuitive skills. Then I share with you what I see (clairvoyance), hear (clairaudience) and feel in my body (clairsentience) to help you understand what is going on in your life and in the lives of those connected to you. To let you know I never censor my impressions, good or bad. I am always honest, though I try very hard to deliver anything that does not look good in a kind and compassionate way. MY CLIENTS RECEIVE EXTRA SUPPORT BEYOND CALLS/CHATS. SCROLL BELOW RATINGS AND PICTURES TO LEARN HOW. THE BEST TIMES TO REACH ME: Best times are between 8 am to 10 am PST and 4 to 8 pm PST. Though I am frequently available most times throughout the day every day and night. WANT TO REACH ME RIGHT AWAY IF I AM NOT ONLINE? TRY A CALL BACK! My phone calls me right away to let me know. If I can get to you right away, please know that I will. very quick and concise! looking forward to the mext conversation. I had paid for more time and the chat was abruptly ended. ADDITIONAL FREE SUPPORT: With me you get more than a just a reading. Because I offer additional support above and beyond readings for free, my repeat callers tell me that their lives are improved for the better when working with me. That is what I want for you as well. As needed I provide the following: 1. Law of Attraction Training. Our future is not written in stone. Following the methods taught in my best-selling book Beyond the Secret I will show you how our vibration and our choices can alter our future. I do not want you to be a passive victim to fate, that is why I work to help you change your fate into a more positive future so you can attract better results. 2. Prayer. I really care about you so I frequently pray for my callers after our calls to help alter the course of events for the better. 3. Articles & Meditations. As needed I sent out articles and meditations to help you change your mindset and vibration so you can heal and manifest a more loving, prosperous and peaceful life. 4. Picture Readings If you send me a picture of yourself by way of Keen mail I will meditate on it and use it during and even after our paid for readings to help change your future for the better. I GIVE 1 FREE MINUTE PER EVERY 3 MINUTES WE TALK. Talk for 3 minutes get 1 free minute. 6 minutes get 2 free minutes. 9 minutes get 3 free minutes. 12 minutes get 4 free minutes. 15 minutes get 5 free minutes and so forth. ASTROLOGY READINGS: As of 2019 I am looking to use astrology more. If you send me a Keen mail with your time, date, and place of birth I will set up your chart and keep a record of it on file so that I can use it during your reading if you request it. BOOKS and MEDIA. I have been syndicated on over 600 radio stations world wide and featured on television. I have five books in print. My best-selling book on the law of attraction called Beyond the Secret has sold over 50,000 copies. My other books are on love, handling feelings well, spiritual growth, and meditation. I also write on spiritual development, yoga, and the "Peaceful Self Process" helping people arrive at a deeper sense of peace and well-being in their lives. Presently, I am working at putting some of my writings into a Keen blog to help my clients further. Regarding being featured on over 600+ radio/TV shows. In my career I have had radio programs four times sharing my wisdom and interviewing many famous people in the spiritual and self-help fields. One radio program was through the largest radio site on the Internet, another through the second largest. Two programs were through traditional broadcast radio (not Internet based), though in one of those programs I was the weekly guest psychic and astrologer. It was not just my own program, which is why I often say I had three radio programs because only three were my own and one was as a regular weekly guest. All of these programs were sponsored, none were just my own talk radio show. Some of these shows were syndicated. Later I was an adviser for the largest dating site around. I also set up my own spiritually focused dating site and sold it. The new owner is still running it. In addition I have also been featured in numerous magazines including having syndicated columns. I have had a few best-selling books (not self published), and had a lot of press in the past around my books at one point flying around the country and speaking on TV and radio giving talks on the book topics. In short, in my 30 plus years of doing this work I really have had that much publicity especially when you understand that I am speaking about syndication (where one show or interview has been sent to many channels to rebroadcast). As you can see I am not new to this type of work. I am highly educated, trained, and tested. As for Keen, I started on Keen in 1999 when it began, then switched over to Ingenio (its parent company) to do counseling work only. In 2010, I came back to Keen. I have been here for 100,000's of people in my long life of service. And, I am here for you. Dr Lisa Powerful Insights has been a user of Keen since 2010. 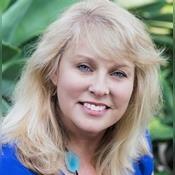 Getting Love & Relationships advice from Dr Lisa Powerful Insights through www.keen.com is safe, secure and confidential.